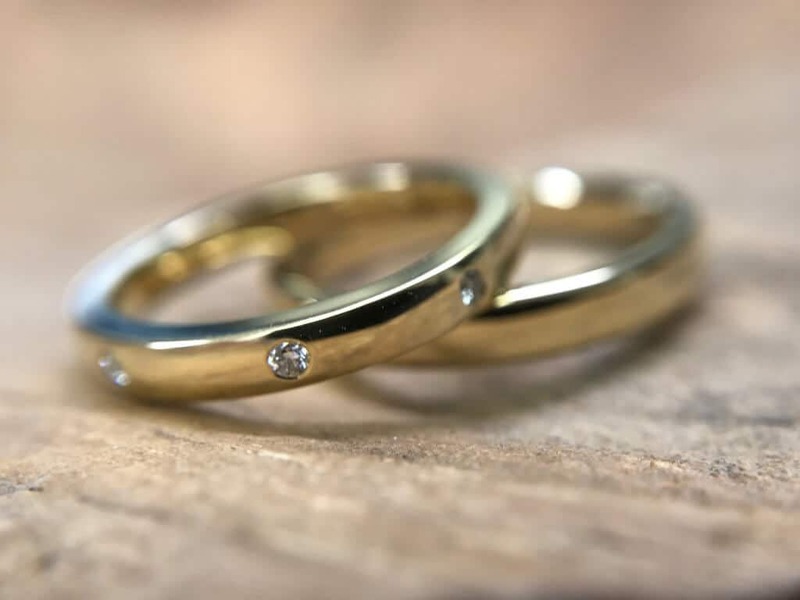 Some couples choose their wedding bands based on each spouse’s personal preference and don’t worry about whether they match or go well together. Others prefer a matched set, including the engagement ring. Then there are others that fall somewhere in between, not necessarily wanting a perfectly matched set, but also not wanting their bands to be totally different than their partners. Complementary bands are ideal in this case. But how do you choose them? 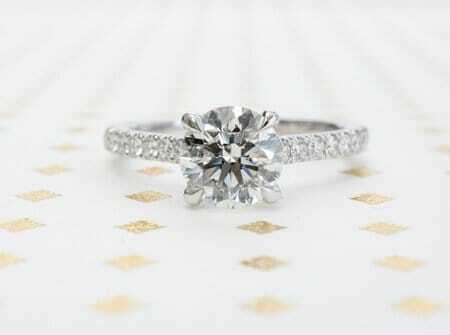 Do you want the engagement ring to match the wedding band? Do you want the metals to be the same, or the styles, or the textures? Maybe you want stones in your wedding band, and that’s what you want to match. The key is to determine what you want to match first, and then search for those things. Sometimes the best way to get complementary wedding sets, if you’re a bit creative, is to design your own. By designing your own, you give yourself the freedom to include the things that are most important to you as a couple, without being restricted by a pre-made ring. If the bride-to-be prefers to be surprised by her engagement ring but prefers some say in her wedding band, this may not be ideal. Otherwise, asking the jeweller for help in choosing an engagement ring and complementary bands at the same time can often get you what you’re looking for. Even if the jeweller doesn’t have the entire set in stock at the time, they can order it for you. If you’re really stumped, asking the jeweller for help can clear things up. Most jewellery sales staff are trained to be able to guide their customers through the buying process, and part of that is being able to help them find jewellery of all kinds that go well with what someone already has. Ideally, your wedding rings will last the entirety of your marriage. Choose carefully, and don’t hesitate to ask for help. You want something that is comfortable and makes you happy.